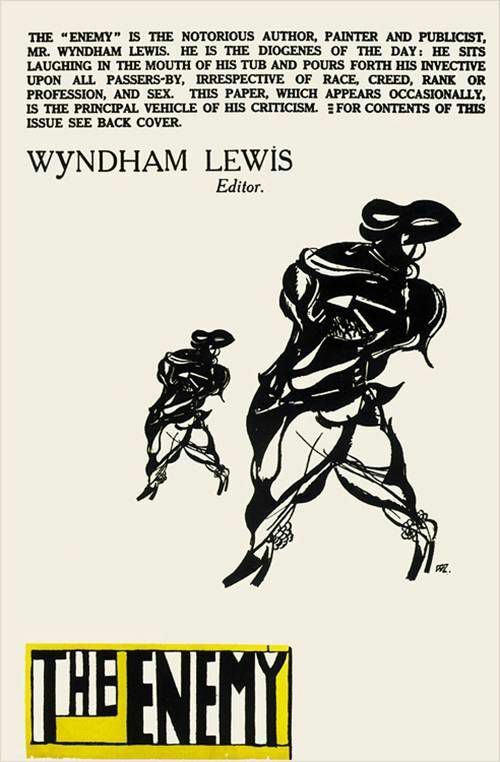 Believing the artist should be an explosive force, Wyndham Lewis sent shock waves through England’s literary establishment in 1914-1915 by publishing his revolutionary BLAST. But Lewis returned from World War 1 to a different literary scene, his former colleagues either dispersed or killed. His own iconoclastic energies remained unflagging and nine years after the War singlehandedly published The Enemy, three issues of a tabloid-format rebel magazine. In Volume 3 Wyndham Lewis produces his polemic ‘The Diabolical Principle,’ skewering ‘transition,’ house organ of the Paris-based English avant-garde, as a latter-day manifestation of late nineteenth century symbolism. (1882-1957) was a novelist, painter, es­say­ist, poet, critic, polemicist and one of the truly dynamic forces in literature and art in the twentieth century. 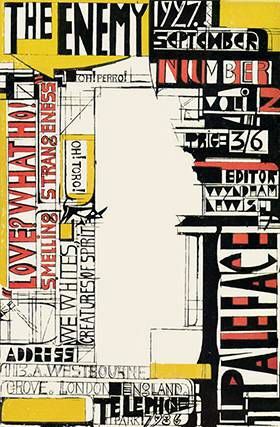 He was the founder of Vorticism, the only original movement in 20th century English painting. He is the author of Tarr (1918), The Lion and the Fox (1927), Time and Western Man (1927, 1993), The Apes of God (1930), The Revenge for Love (1937), and Self Condemned (1954). 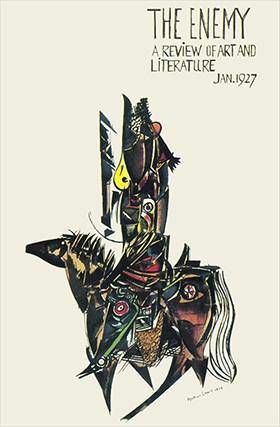 Wyndham Lewis was ranked highly by his important contemporaries.